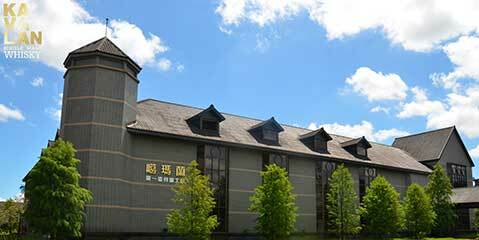 Established in 2005, Kavalan is Taiwan’s first whisky maker and the nation’s only family-owned whisky distillery. 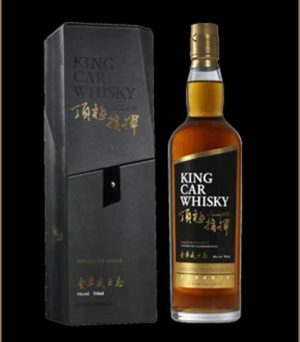 Kavalan takes the old name of Yilan county where the distillery is located in north-eastern Taiwan. The distillery brings together a professional whisky research & development team with a world-class master blender, Ian Chang, as well as the expertise of renowned whisky specialist, the late Dr. Jim Swan. 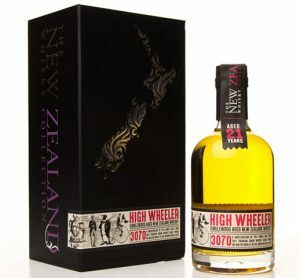 Official distillery bottling, 48 ml mini bottle with distillery label. 'King Car Conductor' Single Malt Whisky is one of the latest releases from the distillery, named after the distilleries parent company. "complex flavours, delicate aromas and multi layers of background fruitiness" non chillfiltered. 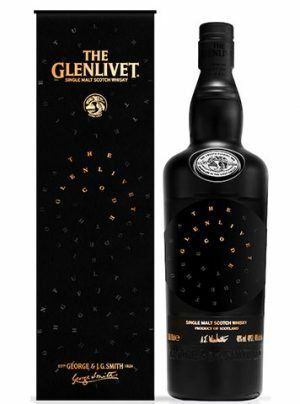 Created from specially selected brand-new American casks and re-fill casks, the expression is surprisingly delicate and extremely complex. 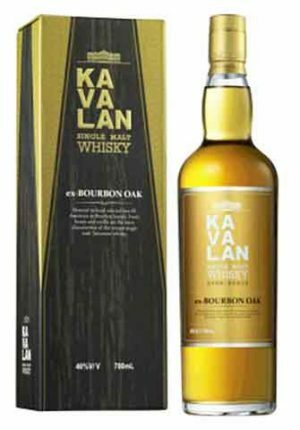 It is a further endorsement of the dedication of Kavalan's rigorous oak cask policy. 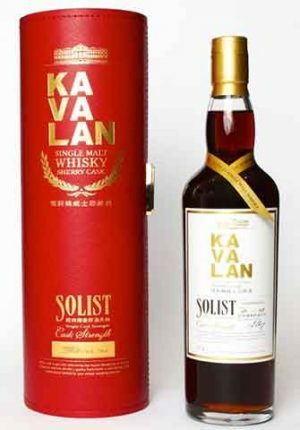 Kavalan joins Solist ex-Bourbon with Kavalan spring water to produce 46% abv. It is incredibly smooth with a soft sweetness lingering over those unique flavours. 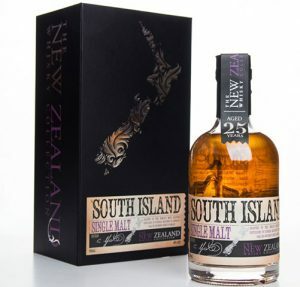 It is clean and fresh tropical fruitiness with pleasant vanilla, coconut and spices. 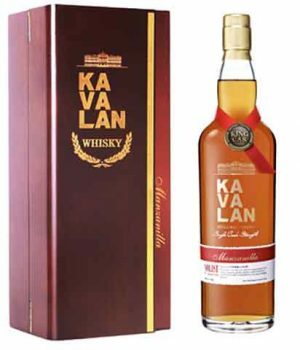 Kavalan joins Solist Sherry with Kavalan spring water to produce 46% abv strength. 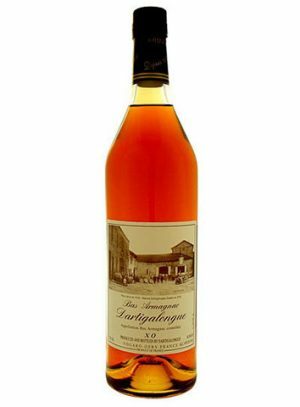 Very easy to drink, it is clean and complex with multi-layers of dried fruit, nuttiness and spices with some marzipan and vanilla touches to it. 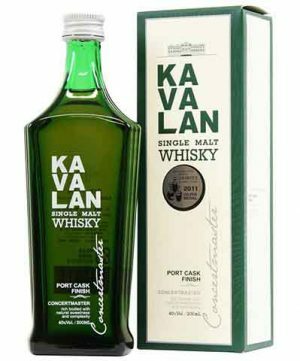 Another limited edition cask strength single malt whisky that is a part of the Solist series of the Kavalan product range. 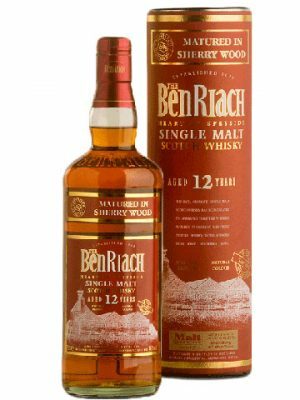 A fine whisky that is perfectly matured in American ex-bourbon casks that are made of the American white oak of the Quercus alba species. 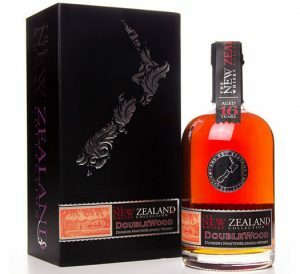 The species of the oak together with the unique local weather conditions yield fragrant and delicate wood spiciness and vanilla note favoured by international connoisseurs. Every cask is specially selected by the master blender for its distinct character and fine distillery quality. 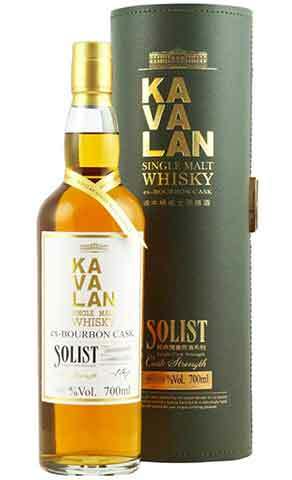 A limited edition cask strength single malt whisky that is a part of the Solist series of the Kavalan product range. A whisky that is well matured in Spanish oloroso sherry butts. Every cask is specially selected by the master blender for its distinct character and fine distillery quality. 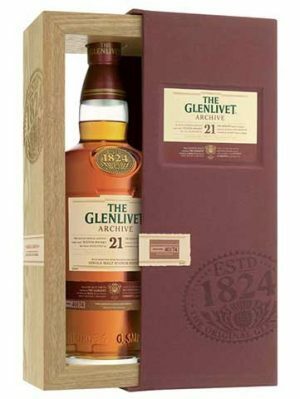 This is a single malt whisky for the connoisseurs and enthusiasts worldwide who appreciate the original quality in the purest form. Presented in a beautiful leather look case. 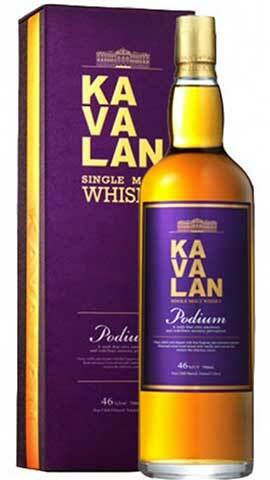 Another limited edition, cask strength, single malt whisky that is a part of the Solist series of the Kavalan range. 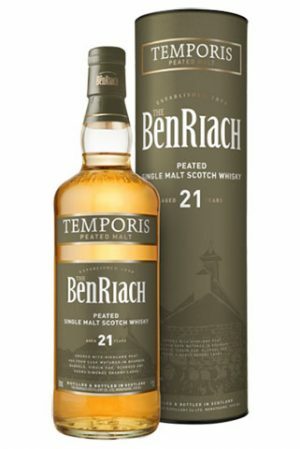 A fine whisky that is matured entirely in a port cask. "Aromas and flavors of dried fruit melange, chocolate genache, port wine and ripe black cherries, and salted peanuts with a round, lively, fruity full body and a peppery, very complex"
Vinho is aged in slow grown white oak which is air seasoned for two years. After soaking with some of the World’s best wines the casks are hand crafted with a specially developed toasting and charring process in the distillery’s own cooperage to bring out the flavours. 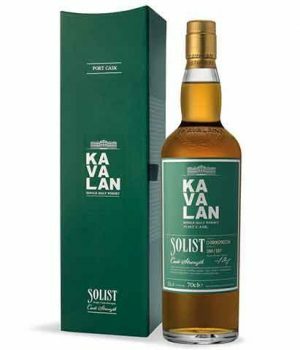 This limited edition in Kavalan's Solist range has been finished in Manzanilla Sherry casks. Manzanilla is much like Fino sherry, which is produced nearby the sea where the climate conditions are even more suitable for the growing of flor. Though the maturing process is the same as Fino, the texture is lighter and more delicate with a touch of saltiness together with mineral flavours, which are all the consequence of the stable and thick layer of flor and the sea breeze. Packaged in a beautiful timber gift box. 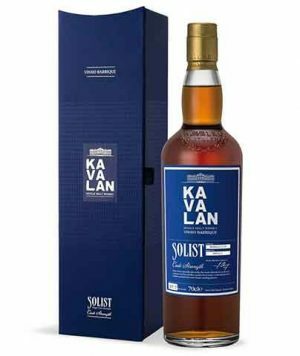 This limited edition in Kavalan's Solist range has been finished in a Moscatel cask. 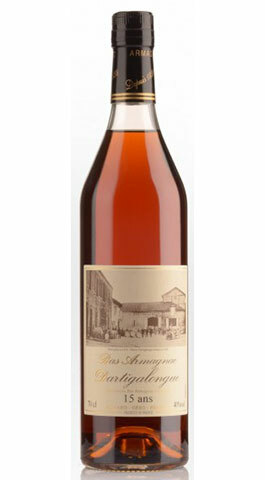 Moscatel is a special variety of sherry. 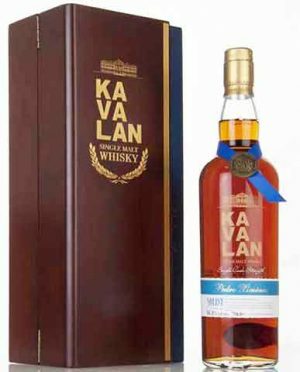 The combination of Moscatel casks, Kavalan new make and the subtropical heat is simply magical in terms of maturation quality. 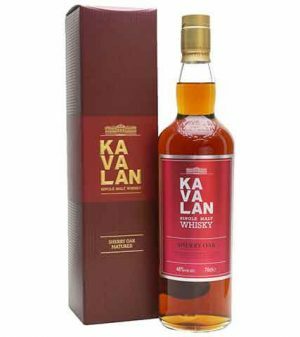 This Kavalan single malt is packed with surprises for all of the sensory receptors that once again brings out the richness and complexity to the fullest. 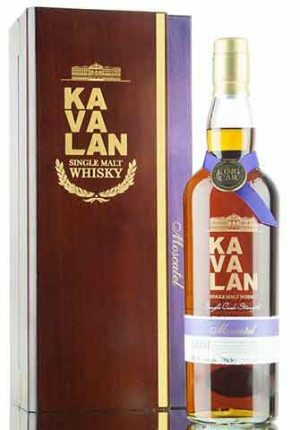 This limited edition in Kavalan's Solist range has been finished in a Pedro Ximenez cask. 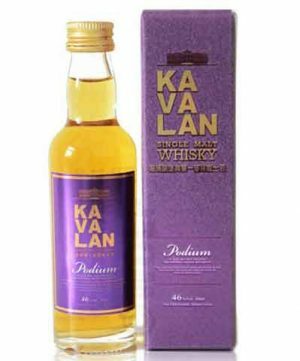 PX Sherry is one of Kavalan whisky's classic collection. The new make spirit matured in the PX sherry casks produces a uniquely special character and flavour with classic fruity, nutty and chocolate aromas.